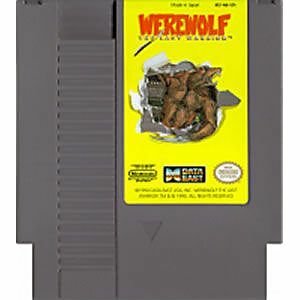 Werewolf original NES Nintendo Game cartridge only - Cleaned Tested and Guaranteed to Work! Never had the game as a kid and never heard of it until I stumbled upon it on Lukiegames. 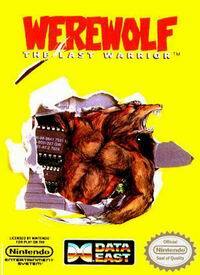 The game is a side scrolling beat em up where you play as a werewolf, what more should I add? I guess I should add the fact that it is a bit difficult. 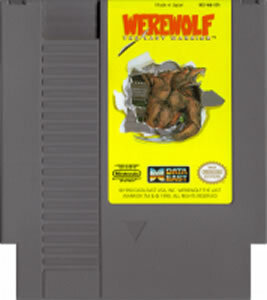 Different take on werewolves and is really worth picking up. Most people haven`t played this one but its well worth the price. Its a side scrolling action game, with very good grafix for Nes. Difficulty is pretty high once you get about 3 levels in.